Yes that's the book for me! Violet will be four in just under two weeks. We still have to work on that spelling thing, however. Do you wonder who she is looking at while she's singing? That would be her reflection in the sliding glass door. Sometimes she looks in the bathroom mirror and makes herself cry by making sad faces. After she was done singing Starry Sky on Christmas Eve, she informed me that she was ready to sing another one. I think we're in for it with this sweet and adorable, yet oh-so-dramatic performer. The morning after my birthday, Duncan let me sleep in pretty late. After being awake for an hour or so, he mentioned that I needed to take a shower and get dressed in something fairly nice. Why, I asked? He wouldn't let on to any details. I accidentally knew about something that my sweet friend, Lynn, had going on as a birthday surprise for me, but I knew no details including when or what or where. So, I inquired if this was "the thing with Lynn" and he cut me off and told me to get in the shower. So I did and was picked up by Lynn shortly there after. We had a long, luxurious car ride to our destination. Now if you know Lynn, you know she all about teas: hosting teas, attending teas and tea houses, planning teas, drinking teas. Yep, she's a tea aficionado, if you like. And having heard good things about this particular tea room, she wanted to try it out. And surprise me for my birthday at the same time! How sweet is that? Any establishment with a purple door has to be good. I loved this bucket of tea dishes that adorned the garden. A tad too chilly to enjoy the rocking chairs--maybe next time! The front porch was decorated with wintery greens. Can you see those wall hangings? They spell out "tea!" How cute is that? This is the window by which we sat. And there we are on the other side of that window! It was a lovely afternoon and a lovely surprise. And even more so, Lynn is such a lovely friend! In every picture, they are all saying "CAAAAAAKE!" That is what one says when photographed with cake batter, right? And then to be photographed with baked cakes requires the utterance of the same word. I came home from church to a home that smelled of freshly baked cake. Duncan put the cakes in the freezer (a trick he learned from me) until they would be decorated on Thursday night. He said they had a great time making the cakes and I love the photos he got as a part of the process. On Friday morning, bright and early, I got my present (the Under Armour jacket I'm wearing) and the card Amelie made all by herself. She also made me a book which had a page of what she loves about me and a page of the things she loves to do with me. It included extra blank pages, as well, for me to use for lists and doodles. She's such a sweetie. Violet was at the worst of her current cold overnight and had spent the majority of the night in bed with me. I got some extra snuggles from her. And here is the magnificent cake that my sweet little family made for me. Tulips are my favorite flower, so Amelie's idea was to put some on my cake. Linus had informed me (incorrectly) that they were putting "sprinkles and Baby Jesus" on my cake. Oh well, I guess that's an idea that could be used next year. My parents and my aunt came over for dinner. My mom brought my favorite meal: chicken marsala, mashed potatoes, and green beans. Sooooo yummy! And then we got to eat my beautiful and yummy birthday cake! Such a sweet husband. Such sweet children. So much for which to be thankful! And the day after my birthday? Well another surprise was in store for me. As I've approached this birthday, I've had a hard time remembering how old I was already and how old I was going to be. But thankful, all the same. Thankful that I have a sweet husband that is more amazing than I could ever convey in words. Thankful that I have three amazing children who love me, want to be with me, and yearn for my attention. Thankful for the circle of friends around me, loving me, challenging me, encouraging me, and accepting me. Thankful for my Savior. And thankful for the church He has us in. Oh that church that I don't know what we'd do if we weren't there. Thankful for our extended family, who loves us and supports us. Who wishes we could all be together more, but is also just thankful for when we're all together. Thankful that I'm in pjs still. Thankful that my pastor's wife my friend, Barbara, came over to visit today. And that my house wasn't the tidiest and that I wore my pjs for our visit. And that she didn't care. That she came to see me. Thankful that my husband now drinks coffee. That we can bond on that level. Thankful for the birthday cake that my little family made for me. Can't wait to see how yummy it is--probably the yummiest ever. Thankful that the kids and I had a successful cleaning morning: Amelie dusting the cobwebs, organizing the shoe rack and cleaning the picture window. Violet cleaning the upstairs bathroom floor and the picture window. Linus washing the sliding glass door and the kitchen chairs. I LOVE when it actually works and we're genuinely productive. And when I remain cheerful and patient. Thankful that the Lord is molding me more into His image. Thankful for the birthday card Amelie made ALL BY HERSELF and that she's getting into the gift-giving thing, in general. That she's becoming so thoughtful. Thankful that I don't have to go anywhere today! Thankful for the book and the couch and the cup of coffee that I'm going to enjoy after I post this. Thankful for YOU, even if you never tell me who you are =). Please don't worry. We'll be sending back that copy of Mary Poppins to you shortly. I know we've had it since before Thanksgiving. It's just that we really, really, really love it. I don't know how many times we've watched it, either in part or in whole. Our favorite scene is Step in Time. Or maybe it's Supercalifragilisticexpialidocious. No, no. Surely it's I Love to Laugh. That part is hilarious. We love when Bert goes up to the ceiling. But then there is Fidelity Fiduciary Bank. That's my husband's favorite. And his rendition makes us all love it. We also really love One Man Band and Let's Go Fly a Kite. Those are probably our favorites. Or is it A Spoonful of Sugar? Well, I imagine that you can see now why it is that we've had your copy of Mary Poppins since November. We just love it too much to send it back to you. The good news is, however, that we should be able to send it back to you early next week. 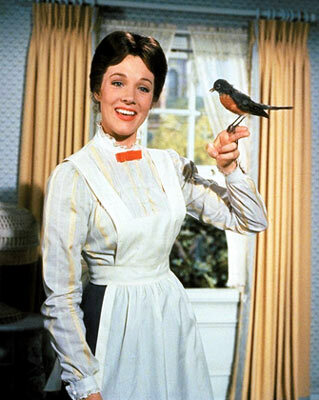 Our brand new copy of Mary Poppins is scheduled to be shipped by Amazon this Friday. We did choose Super Saver Shipping, however, since you've been so kind in letting us keep your copy for so long. What's a few more days, right? You know, to save a few bucks? Anywho, we really appreciate your willingness to share with us for so long. We've thoroughly enjoyed ourselves, gaining a new appreciation for a classic movie, while bonding as a family. Please know that when this disc is returned to you, it won't have warts or smell of barley water. It will, however, be very sweet and fairly pretty. And it will be sent with lots and lots of love. Did someone I know leave this? Or is it spam? Decide for yourself or confess to leaving it! ...you are so worth every penny that Uncle Charles spent for you. ...but no matter. You're a cinch to clean up. Way easier than play-doh or moon sand. Linus has been looking a bit shaggy these days, as you can see in the sweet photos below. Curls everywhere, sticking out willy nilly, likening him to Bozo the clown, according to his daddy. Duncan has wanted to take the trimmers to Linus for about a month now. And then I was convinced. So, today was the day. Very different than the experiences of his sisters, Linus received his first haircut at Daddy's Barber Shop which is located right inside Our Kitchen. Just after dinner and before his bath, Linus was stripped down and a towel was draped around his neck with a clothespin to fasten it. First there were scissors. Then there were clippers (or daddy's beard trimmer, as it were). Allthewhile, watching youtube videos of the Spiderman theme song on my netbook. He did really well with only slight whimpers now and then. And I must say, he looks quite handsome. (And I've got a labeled ziploc bag full of his wispy curls.) A new phase of life indeed. No babies in this house!